UFC 8 featured a “David vs. Goliath” tournament, plus Ken Shamrock defending his Superfight title in the main event against Kimo. Bruce Beck, Jeff Blatnick and Don “The Dragon” Wilson are calling the action. Big John McCarthy is our referee, and “The G-Man” Rich Goins is back as the ring announcer. 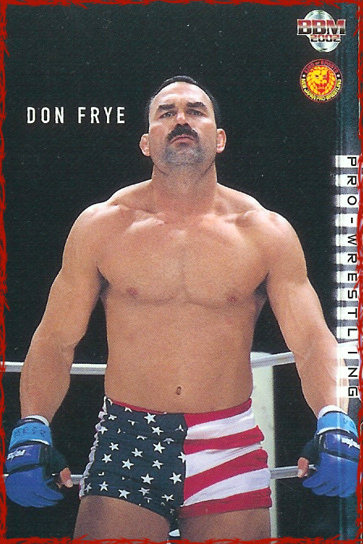 Dan Severn is one of Frye’s cornermen. Double mustache power! Ramirez is 41 years old and weighs 410 pounds. He comes out with the Puerto Rican flag, and the fans love him in his hometown of Bayamon. Frye lands a couple of big punches and Ramirez’s lights are out. This fight only lasted 10 seconds. At least Ramirez has a lot of friends in the audience to comfort him.